Be smart and lose weight in the privacy and comfort of your home! This website is for everyone who wants to change their eating habits and weight. Because a large number of people suffers from obesity our web focuses on weight reduction according to the principles of modern dietetics. We don't promise miracles nor we set unrealistic goals. We offer clinically tested and reliable methods leading to permanent weight loss. Obesity verifiably shortens life and complicates treatment of many serious illnesses. You can find recommendations and menus for diabetics on this website as well. What does the project Slimming with Kerbet have to offer? The project Slimming with Kerbet is based on basal metabolic rates determined in our state-of-the-art laboratory. It takes the nutritional values provided by our analyses into account. Furthermore, the activity of insulin that controls the metabolic processes which cause fat storage in the body is also taken into consideration. Dietary guidelines are designed to prevent insulin from creating excess fat. This desired insulin activity can be achieved by modifying your diet and by enriching it with the glucose tolerance factor (GTF). If a food contains a lot of sugar, insulin secretion from the pancreas is strongly stimulated. 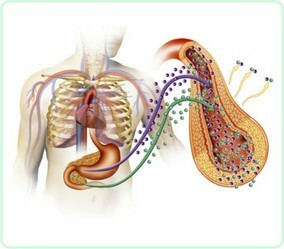 However, the high blood insulin level has one adverse effect. The more insulin circulates in blood, the more encouraged the formation and storage of fat in organs and under the skin is. Therefore, it is advisable to follow a special nutritional program. Obesity causes many health problems and this website is recommended by many GPs and dieticians to their patients as an effective tool in choosing the right diet. Do not expect unrealistic promises !!! The project slimming with Kerbet will show you how to lose weight and how to improve your shape. If you, however, expect that we will promise you that you will lose 14 kg in 2 weeks or that we will recommend you some miraculous pills which will burn fats while you are watching TV, do not waste your time and close this website. Slimming does not work this way. Certain principles must be followed if you want to succeed. YOU DON'T HAVE TO PAY for diet menus anymore! Create your own menus according to principles of modern dietetics on this website FOR FREE.